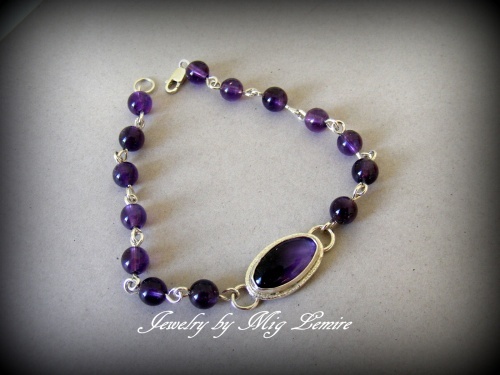 This bracelet has Amethyst gemstone beads woven with sterling silver. Amethyst focal with sterling silver framework make this sweet and unique. Fits medium size wrists.